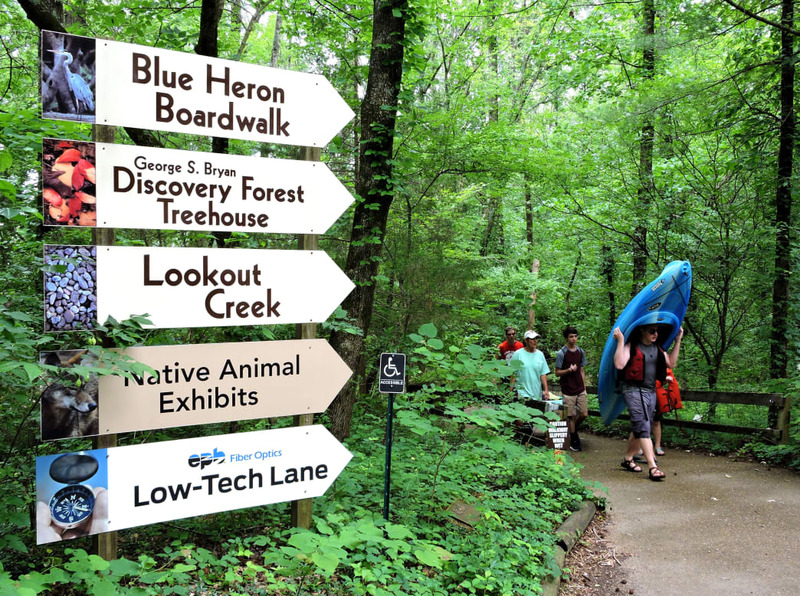 Nestled at the base of Lookout Mountain just minutes from downtown, Reflection Riding Arboretum and Nature Center is one of Chattanooga’s most beloved settings. Incorporated in 1956 by the Chambliss family, Reflection Riding has since conserved multitudes of native plants and animals on its 317 acres while serving as a haven from the bustle of the nearby city. Visitors can fully appreciate the diversity of the region’s landscapes by exploring meadows, glades, forests, and even a bamboo patch all within a stone’s throw of one another—and those are just the natural elements of Reflection Riding. Other features include sensory gardens, historic structures, an apple orchard, and tons of exciting learning opportunities. With activities ranging from tree identification to canoeing, Reflection Riding’s charming grounds are the perfect place for a family outing or a peaceful day in the woods. The property is pet-friendly and ADA accessible, so anyone can enjoy its beauty. Here’s your guide for creating a fantastic day at Reflection Riding. Home to 15 miles of trails, you can easily spend a day or a weekend exploring Reflection Riding’s grassy nooks and wooded crannies. The trails on the property are interwoven, making it easy to create as short or long a hike as you want. The 2.7-mile Profile Trail is one of the most popular day hikes at Reflection Riding, and gives visitors a thorough tour of the many landscapes in the area. Hikers can also easily connect to longer trails in the Lookout Mountain trail system, such as Skyuka Springs or the Lower Truck Trail, and challenge-seekers can even venture a stiff climb up to the picturesque Sunset Rock. Lookout Creek is a popular spot for canoeing and kayaking. Reflection Riding is located on Lookout Creek, a peaceful tributary of the Tennessee River that’s mild enough to paddle easily in either direction. From the boat launch, you can head upstream past Paddler’s Perch, a designated stop on the Tennessee River Blueway, or downstream toward Cummings Bottoms and the Tennessee River. Keep an eye out for turtles, fish, and birds, but remember to cast a glance skyward for a gorgeous view of Sunset Rock. Visitors are welcome to bring their own watercraft or to rent canoes from Reflection Riding for an additional fee. Reflection Riding houses more than 40 animals that are no longer able to return to the wild, including a bald eagle, bobcat, fox, and the inhabitants of Snake Tale Alley. 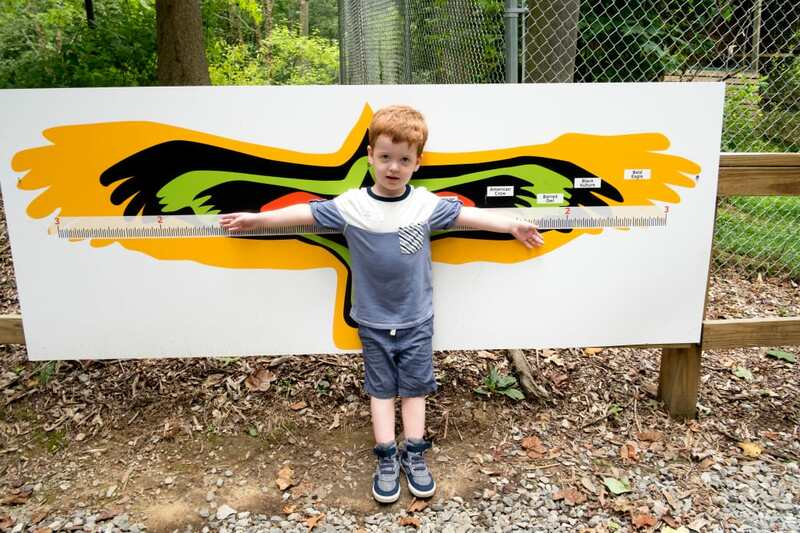 The impressive native animal exhibit at Reflection Riding is home to 40 animals indigenous to East Tennessee, including a bobcat, a fox, birds, and various reptiles. The exhibit proudly houses a pack of red wolves, which are currently the 8th most endangered animal in the world. Visitors can hear an educational talk on red wolves and watch a feeding every Saturday afternoon with a local naturalist. And, of course, no visit to Reflection Riding would be complete without pausing to peer in at some native snake species at Snake Tale Alley. 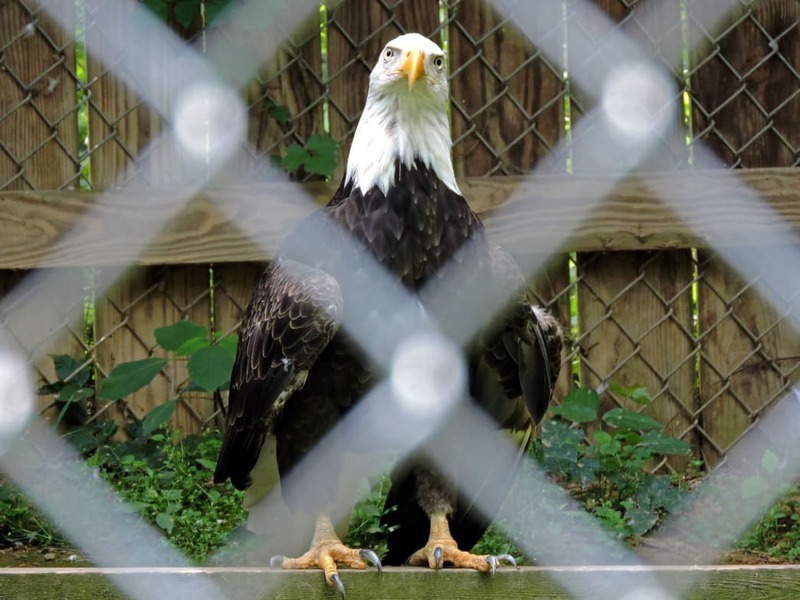 All of the inhabitants of the native animal exhibit have been affected by humans in some way that disables them from living in the wild, and have come to be cared for by the nature center. Away from the exhibit, Reflection Riding’s acres host five distinct biomes with hundreds of species of animals. The most recent field study found 107 bird species, 20 mammals, 28 reptiles and amphibians, and more than 400 insects. Herds of deer love to graze in the Lower Meadow, and a trip to the Upper Pond might afford a glimpse of a Sandhill Crane. A day spent exploring Reflection Riding promises to let you catch a glimpse of East Tennessee’s wild side. 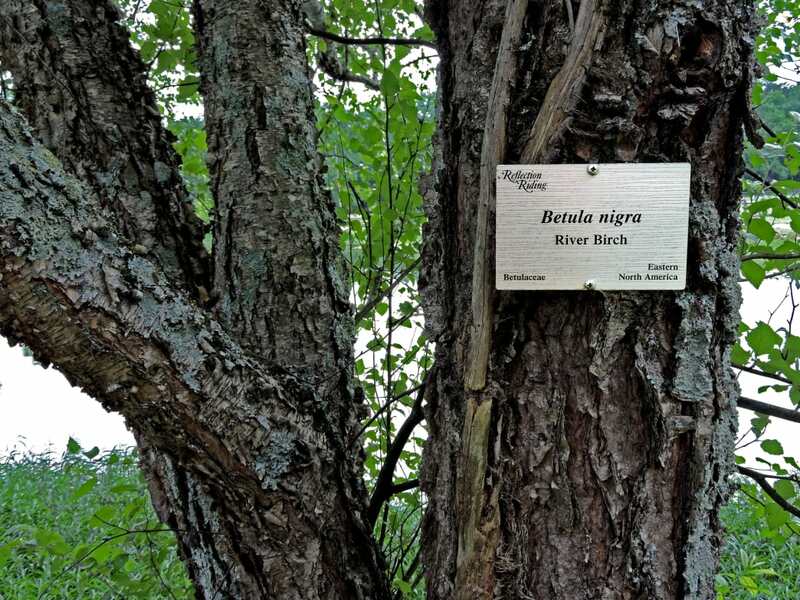 More than 140 species of trees are identified and labeled in the arboretum. Reflection Riding is designated as a Level IV arboretum, meaning that it has more than 140 identified and labeled tree species on its acreage. Visitors can obtain a tree map pamphlet and enjoy a self-guided, tree-identification tour of the property, which could easily become an educational multi-day experience. Guided tours can also be arranged if you plan ahead. Gardens within Reflection Riding’s boundaries contain a variety of beautiful flowers, both native and non-native. You can check the website to find out what flowers are currently in bloom. Reflection Riding features hands-on displays for the kids. In addition to scheduled lectures and demonstrations, Reflection Riding offers “Lifelong Learning” classes on gardening, photography, and much more. Inside the Nature Center building, you’ll find exhibits on nesting birds, red wolves, and other local wildlife. Kids will love the hands-on displays at the center and adults are sure to learn something interesting, too. The property sees many school groups throughout the year from pre-k to high school, and students get to take a guided tour and meet some of the animals in captivity. Reflection Riding offers activities for all ages. The range of activities at Reflection Riding ensures that there will be something for everyone in the family on your outing to the arboretum. 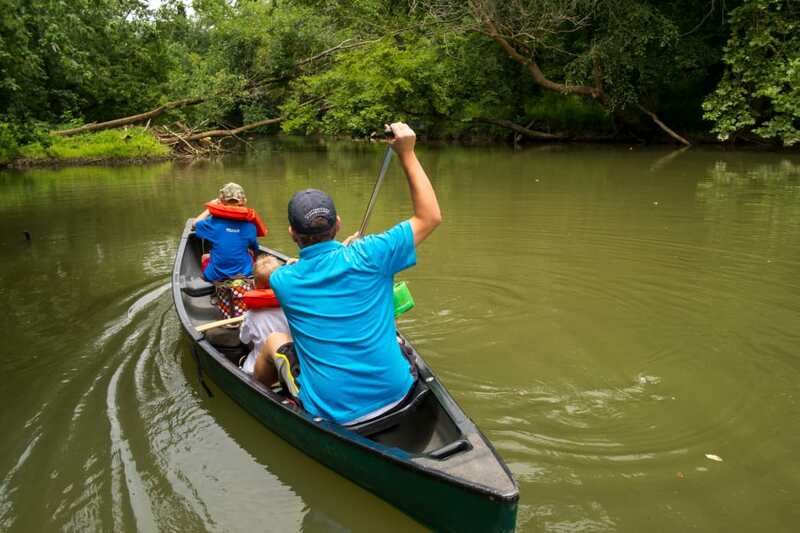 The 3.4-mile driving loop is a wonderfully accessible way for anyone to enjoy nature and wildlife, and history buffs will love the restored log cabins and Civil War remnants. Kids can befriend the resident horses, explore the Discovery Treehouse, and even paddle on Lookout Creek in the company of adults. Even the furry four-legged members of your family are welcome at Reflection Riding. While frequent visitors will often purchase an annual membership, one-time guests to the Nature Center can purchase day passes for $10 per adult or $7 for children or senior citizens. Opening hours vary by season and are limited in winter months, so be sure to check the website before planning your visit.